The first kiln I built in 1994 was such an intimate experience to fire. Knowing the kiln from the inside out during the firings allowed me to anticipate problems and account for variables. Your clay choice, how you load, and how you fire all effect the way the work looks. The design of the kiln is equally important in its relationship to the pottery. Among these pages are the kiln building projects and workshops I have lead. It's exciting to hear of great work that is being made in these kilns, a small legacy of clay. Click on the image for more information links for more information about each Kiln. 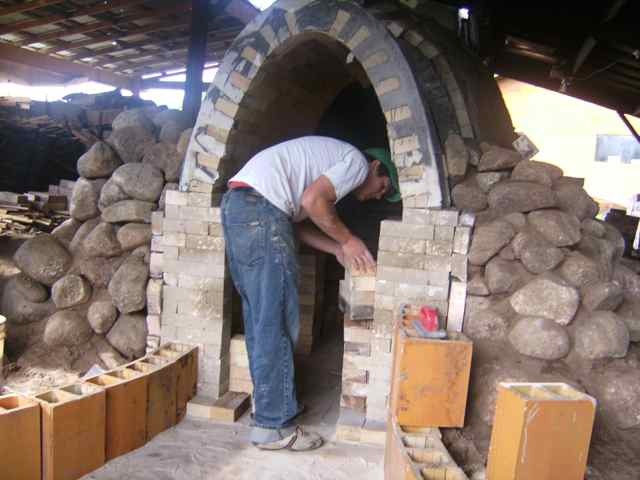 In the summer of 2014, the China Academy of Fine Arts invited me and my apprentices Lars Voltz and Kelsie Rudolph to build and fire two wood kilns in twenty days.